Let’s suppose you’re a contractor that provides services to the federal government. Typically, your contract will require you to pay your employees the prevailing wage rates promulgated under the Service Contract Act. What if you suspect that, under previous contracts, your competitors failed to pay their employees the mandated prevailing rates? Can you use a pre-award bid protest to obligate a procuring agency to police possible ongoing non-compliance through solicitation provisions? If you say yes, perhaps you should keep reading. In Crosstown Courier Service, Inc., B-416261 (July 19, 2018), GAO encountered a protester with this concern. There, the VA was looking for commercial transportation services on a fixed-price basis. The solicitation was subject to the SCA. Consequently, the solicitation required offerors to comply with the relevant SCA wage determinations and make certain certifications regarding their SCA-exempt employees. But it did not require a breakdown of costs by labor category. The protester, motivated by real or perceived abuses by other contractors, challenged the solicitation’s terms in two salient ways. First, it argued that the solicitation was defective because it did not require a breakdown of the offerors’ labor costs. And second, the solicitation did not provide for a price realism evaluation. The protester believed that the VA has a “long history” of awarding similar contracts to companies with low pricing–pricing that must have been, in the protester’s view, insufficient to cover SCA wage rates. Thus, the protester argued that the solicitation should require a labor costs breakdown. With this added detail, argued the protester, VA could evaluate each offeror’s proposal with an eye to whether an offeror was, in fact, capable of paying the required SCA wages. In essence, (and perhaps you can sympathize) the protester wanted to ensure that its pricing–which it believed factored in the full impact of SCA wages–was not undercut by offeror who might be less concerned with SCA compliance. GAO batted down the protester’s argument. For one, the protester did not present any evidence substantiating its claim that VA had previously awarded contracts to companies who did not pay the appropriate SCA wages. So, barring terms in the solicitation saying otherwise, an offer for a fixed-price contract isn’t invalid simply because the offeror won’t be able to cover its costs (including SCA wages) with the revenue generated from the specific procurement–as long as the proper wages are paid during contract performance. In other words, a contractor may calculate to lose money on a government contract, and submit a below-cost bid on a fixed-price contract, even where the contract is covered by the SCA. 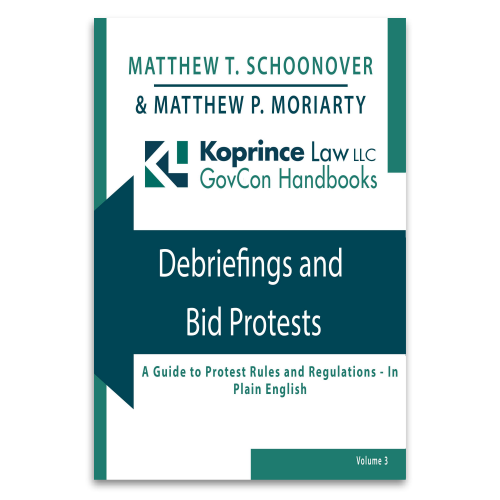 Of course, the cost breakdown urged by the protester might give the VA greater confidence that an offeror has considered the required costs associated with the procurement. But because” the agency’s approach in this case–advising vendors of the requirements and requiring relevant certifications–is not inconsistent with law or regulation, or otherwise unreasonable,” GAO denied this protest ground. The protester’s second protest ground essentially repackaged the first. It went like this: because the solicitation failed to provide for a price realism evaluation, the VA would not be able to assess the likelihood of contract compliance (including the payment of SCA wages). In other words, a price realism evaluation was necessary in order to root out offers that, if accepted, would not provide the revenue necessary for the contractor to pay its employees compliant wages. In addition, GAO found that “other than the protester’s vague representations concerning prior unrealistic quotes or proposals, the protester has not identified any facts that would suggest that the agency erred in failing to include a price realism evaluation in the [solicitation].” Because the protester presented no error made by the VA, GAO denied this ground too. We can probably all sympathize with a contractor who makes an offer on a fixed-price contract only to be undercut but a lower price–especially one that, in all probability, won’t cover the winning contractor’s costs. In such cases, one might suspect that the winning offeror won’t comply with applicable laws, like the SCA, or may be angling for an equitable adjustment in the midst of contract performance. Here, the protester wasn’t wrong to think that added scrutiny of offerors’ prices may have been beneficial in the evaluation process, but agencies have broad discretion when it comes to drafting solicitations. Regardless of whether it would have been a good idea for the VA to more closely evaluate offerors’ prices, the GAO said that the VA wasn’t required to do so. 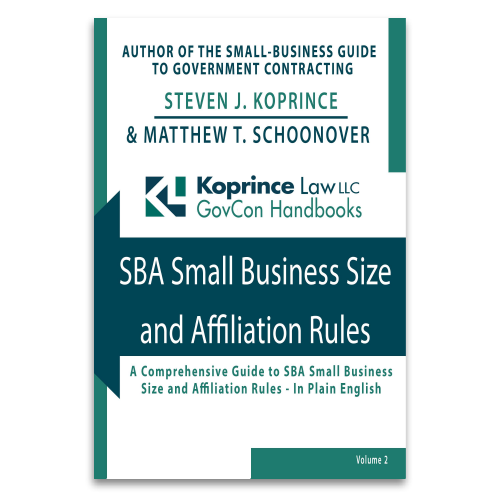 If you do suspect that a competitor is not, or will not, pay required wages under the SCA (or the Davis-Bacon Act), you might consider raising the issue with a contracting officer or the Department of Labor. But when the solicitation calls for a fixed-price contract, and the solicitation terms don’t include a price realism analysis, raising the issue in the context of a pre-award protest is likely a dead end. This entry was posted in GAO Bid Protests and tagged below cost offers, price realism, Service Contract Act. Bookmark the permalink.